The Bangsamoro people is composed of eleven ethnic groups. Each group has its own language but only a few controls a political unit like a province or municipalities. Some groups speak one language with three variations like the Maranao, Iranun and Maguindanaon. The Sama people have one language with many variation such as the dialect of the Jama Mapun, and the Bangingi. The Bangsamoro was once a dominant group in the country. They have 500 years political history, so far the longest political experience compared to other groups in the whole Philippines. Their culture is a blend of Islam and adat. Adat is the sum of both pre-Islamic culture and the philosophical interpretation of the Muslims on the teachings of Islam. It is itself the lasting contribution of the Bangsamoro people to the country’s national body politic. However, to know the Muslim history, one should understand the role of Islam in bringing about historical development. It is this Islam that actually produced heroic resistance against western colonialism. The Bangsamoro became known as cultural communities owing to their culture surviving foreign hegemonism to this day. The history of the Bangsamoro people is part of the backbone of the historical development of the whole country. Filipino historians like Dr. Renato Constantino asserted that no Philippine history can be complete without a study of Muslim development (1990:29). The Philippines has two lines of historical development. The first line, which is the older, came to develop in Mindanao and Sulu. And this refers to the Muslim line of historical development . 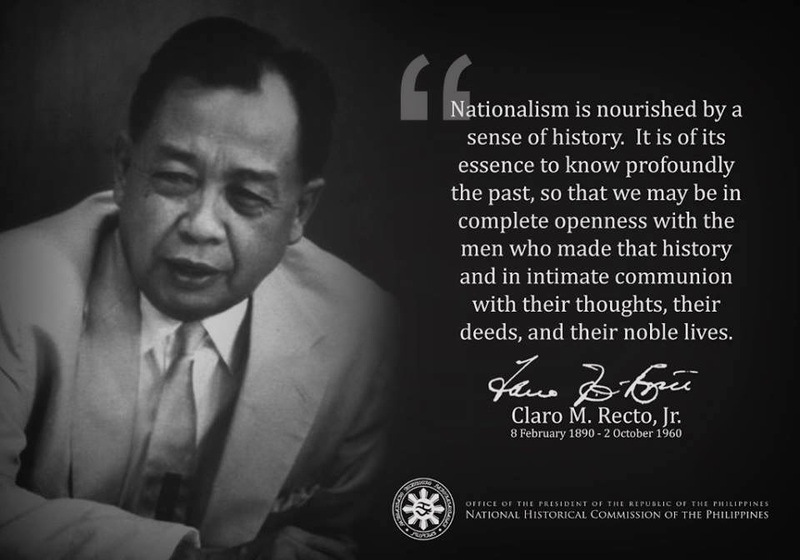 Had not this line of historical development been disturbed by western colonialism, Islam might have charted the entire destiny of the Philippine nationhood. External factors swept into the country and brought the second line. The Hispanized Filipinos were central to the development of this second line. This is the product of the great historical experiences of the Filipino people under western rule. 1. The Maranao. Literally, Maranao means people of the lake. Their homeland is called Lanao which means lake. Their oldest settlement started around here, and up to this day, highly populated communities still dot the lake. Their language is similar to Maguindanaon and Iranun. One shall be confused as to which of them owns the mother tongue since the Maranao and Iranun can understand 60% of the Maguindanaon language. At any rate , these groups live in proximity. Continuous contact allows them to develop or share a common practice including language. 2. The Maguindanao. Originally, Maguindanaon is the name of the family or dynasty which came to rule almost the whole island of Mindanao, particularly the former Cotabato. It later refers to the Muslim people who live in the Pulangi valley which sprawls the Southwestern part of Mindanao. It is for this reason, the Maguindanaon are called people of the plain. They accepted Islam at the last quarter of 15th century. Total Islamization of the whole Pulangi area succeeded only with the arrival of Sharif Kabungsuan a prince from Johore who came to Mindanao after the fall of Malacca and nearby areas to Dutch colonialists in 1511. 3. The Iranun. These people have inhabited the area bordering between Lanao del Sur and Maguindanao province. They claimed to be the origin of these two ethnic groups. The language of the Maranao and Maguindanao is strongly rooted in the Iranun tongue. The Iranun may perhaps be the mother language and the rest are just a mere dialects. For several centuries, the Iranun formed part of the Maguindanao sultanate. Their culture received much influence from the Maguindanao rather than the Maranao. There was a case in the past the seat of the Maguindanao sultanate was situated at Lamitan and Malabang that were the strongholds of the Iranun society. They fought the western invaders under the flag of the Maguindanao sultanate. The Iranun were excellent in maritime activity. They used to ply the route connecting the Sulu sea, Moro gulf to Celebes sea, and raided the Spanish held territories along the way. 4. The Tausug. Prof. Muhammad Nasser Matli argued that the term Tausug is a slang word and originated from two words: tau (people) and ma-isug (brave). Therefore, Tausug means brave people. Before the coming of Islam, the Tausug had already established a central government. When Islam came, Tausug leaders accepted Islam. They did not resist. As soon as they became Muslims they made themselves models by infusing Islamic values and politics to the government. The result was the spread of justice in the land. Seeing the beauty of Muslim leadership, the entire natives finally accepted Islam. The peaceful triumph of Islam in Sulu in the middle of the 13th century led to the Islamization of local politics. This was the process that brought about the establishment of the Sulu sultanate in 1450. Many Tausug leaders were sent outside Sulu to further strengthen the Sulu sultanate influence. This was the origin of the growth of Tausug communities in Tawi-Tawi, Palawan, Basilan, Zamboanga, and Sabah. Up to this period, these places are still the favorite destination of Tausug migrants who have been displaced by the wars and conflicts between the Muslims and the Philippine government. 5. The Yakan. The term Yakan is a mispronunciation of the word yakal by the Spaniards. While the term Basilan has originated from two words basi (iron) and balani (magnate). In the ancient time Basilan was thickly covered by the yakal trees. Foreign people often mistook the name of the yakal trees as the native identity. During colonial period the Spaniards branded the inhabitants of Basilan as Yakan, and became carried up to the present. 6. The Sama. The Sama identity derived from the term sama-sama which means togetherness or collective effort. The Sama people are highly dispersed and scattered in the Sulu Archipelago. They are geographically diversified owing to their exposure to maritime activities and fishing. There are five sub-clusters that make up the Sama people. Helping each other is recognized as norm of the Sama people. Included in the Sama group are the Badjao known as the sea-gypsies of Sulu Archipelago and Celebes sea. The Badjao people call themselves Sama Laut. 7. The Sangil. The Sangil came from Sangihe an archipelago sprawling the Celebes sea just south of the Mindanao sea. Their migration to Sarangani province and to the coastal areas of Davao del Sur and South Cotabato was ahead of the coming of Islam to Southeast Asia. They embraced Islam later as a result of their continuous contact with their motherland, which became Islamized, as well as with the emerging Muslim communities in Maguindanao and Sulu in the 14th century. 8. The Kaagan. The Kaagan inhabited mostly Davao areas. They became Muslims as a result of contact with the Maguindanao sultanate, and later strengthened with the arrival of some Tausug groups who helped to organize the Kaagan society. No wonder the Kaagan language has many bahasa sug root words. With the departure of the Tausug and Maguindanao influences at the height of the Filipinization process. Most of them have been marginalized and were helpless to improve their society because their social organization did not improve as those in Lanao and Sulu. 9. The Kolibugan. The term kolibugan is a Sama word which means "half-breed". Originally, they are part of the Subanun tribe, an indigenous people inhabiting the interior of the Zamboanga peninsula. Their neighbors, particularly the Sama Bangingi and the Tausugs called these Islamized Subanun as Kolibugan because their culture has been altered by their Muslim neighbors and for years there has been intermarriage with other groups that produced new generations, hence they are called Kolibugan. These people still speak the Subanun language and retain the Subanun type of social organization, which is limited to clan orientation with less political inclination. Today, the term Kolibugan is applied to all Subanun who moved to coastal areas and intermarried with the Muslims, and finally embraced Islam. 10. The Palawan. The early Muslim inhabitants in mainland Palawan were the Panimusan. These people became Muslims as a result of close contact with the Sulu Sultanate. Many Tausug during the sultanate period came to Palawan in order to introduce Islam to the local people. The Muslim concentration is mostly in the southern part of Palawan such as Batarasa, Rizal, Quezon, Brooke’s Point and Espanola. In these municipalities the Muslims are likely dominant and hold political power. Isolated Muslim communities are also found in Narra, Roxas, Taytay and Aborlan. 11. The Molbog. The Molbog are mainly confined in the Balabac islands located at the southern tip of Palawan. They received Islamic influence and later embraced Islam from Brunei Muslim missionaries. The propagation of Islam was active during the 15th century when Muslim principalities rose from the eastern side of the Malay peninsula and Borneo. At this period, the Brunei sultanate was expanding its influence to the Philippines and Palawan is not far from Brunei. The Sulu sultanate also helped to strengthen Islam among the Molbog.